Happy birthday to the AMAZING Barbara Lynn! She's a soul singing, guitar slinging, songwriting wonder, and she's still out there amazing audiences to this very day. Anyone who has followed this blog knows that Ms. Lynn is a real hero of mine, and I have now featured nearly all of her 45's on this site. This particular record is incredibly scarce, and it took me a long time to finally find a copy. 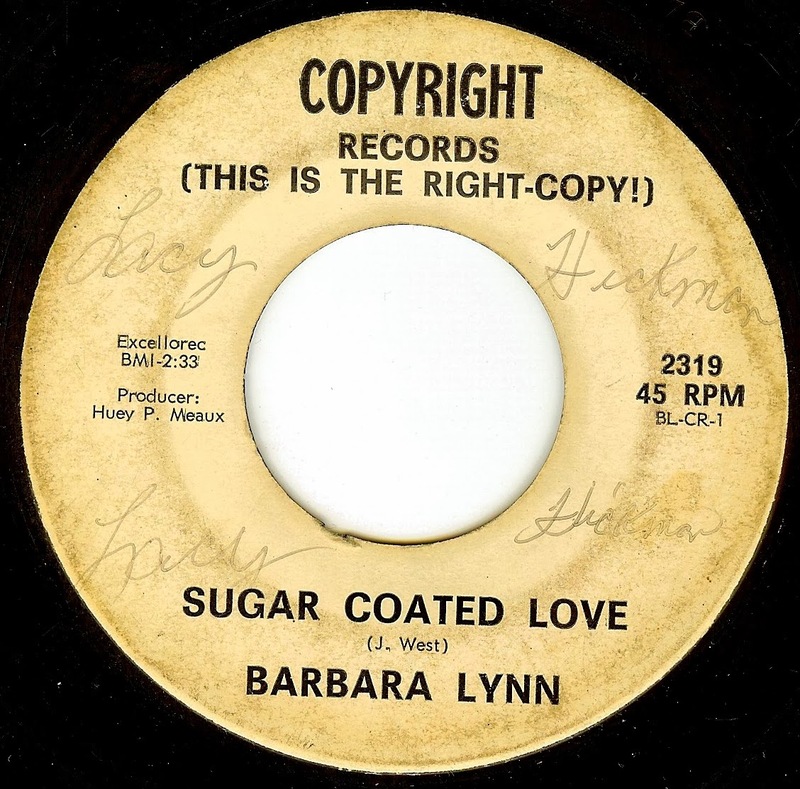 Barbara still plays this song in concert currently, and it's a number that was more famously cut by Lazy Lester back in 1958. Barbara lays out some red hot R&B on her recording, highlighted by a super soulful vocal.